Richard Battye is one of Birmingham’s most experienced and long-standing professional photographers. With a superb eye for composition and lighting, he specialises in world-class fashion and creative photography, having worked in Europe, the Middle East and the USA. Right from the start, Richard made media headlines with his compelling work. His debut exhibition, This England, captured the unique and often unseen side of British sub culture, and featured on national press and broadcast media, it went on to tour from Mayfair to Los Angeles. BBC, Channel 4, The Arts Council, Jacob Kimmie, Sulaimi Brookman, Birmingham Royal Ballet, Dance Spirit magazine ( New York), The Gadget Show, Louis Vuitton, Aston University, Gibson guitars, Harley Davidson, Land Rover and the City of Birmingham Symphony Orchestra. 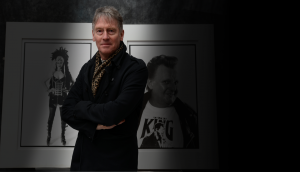 Since 1990 Richard has run his own Photography Studio based in Birmingham, he uses it for his own work, but also rents it out to other photographers & agencies. Time Magazine recently used it for a front cover shoot.  Richard has launched an exciting new project called, “This Birmingham,” which aims to celebrate the untold stories of individuals that have either come to the city to achieve success or hail from it. Richard’s iconic first touring exhibition featured the often unseen side of British sub-culture. It toured for over three years, from Mayfair to Los Angeles, generating substantial TV and media interest. All images © Richard Battye, 2017. Images may not be reproduced without the express permission of the copyright holder.